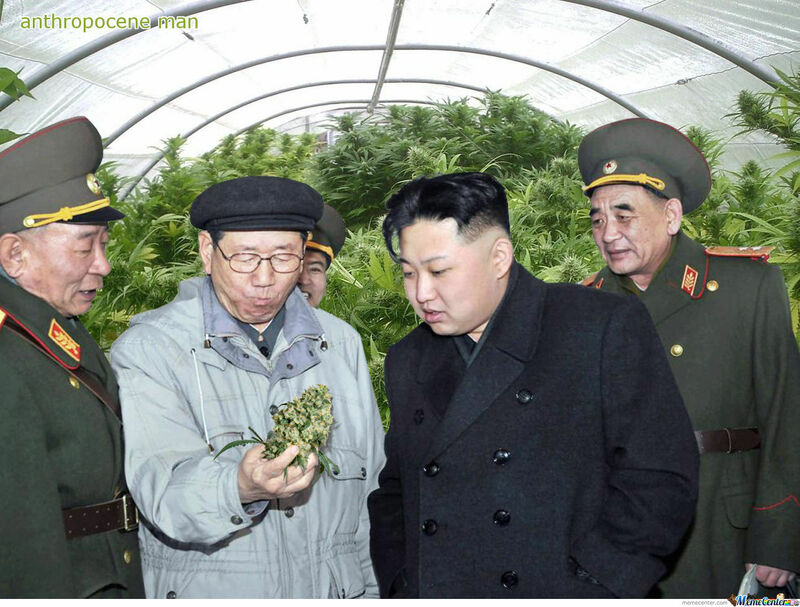 Is North Korea The Stoner's Paradise It's Made Out To Be? Is North Korea The Stoner’s Paradise It’s Made Out To Be? Is it said that cannabis grows wildly in North Korea, and its citizens can allegedly buy it in large marketplaces and smoke it wherever they like. Is it said that cannabis grows wildly in North Korea, and its citizens can allegedly buy it in large marketplaces and smoke it wherever they like. However, the reality might be a little different. Despite the many accounts and news articles that give the idea that cannabis is completely legal in North Korea, the reality might be a little different, which is the same for so many aspects of the totalitarian state. That confusion hasn’t been helped by the fact that the Internet does not exist in North Korea, outside a closed network, which is why the theory of a weed-friendly North Korea seemed to be so popular with outside agencies. But there was a recent investigation by the Associated Press that debunked the myth of the pot-friendly communist nation, which means you might not want to book flights just yet – if you were even contemplating such a journey. At the beginning of this year, Associated Press’ Eric Talmadge provided some of the most conclusive evidence that marijuana is illegal in North Korea, which came via a Swedish diplomat living in the state. The said diplomat, Torkel Stiernlof, told the AP that marijuana is a controlled substance in the same category as cocaine and heroin. He rejected the idea that government looks the other way when it comes to drug use, no matter what the Internet claims. But the confusion might come from people not knowing the difference between cannabis and hemp, as the state openly grows the latter, seeing it being used as a cheap substitute for tobacco. Given that misunderstanding, it would be easy to assume that the people who saw or used hemp while in North Korea probably mistook it for cannabis. But it’s not just a substitute for tobacco, either, as hemp might also be used to make a whole lot of goods, from oil and towels to the uniforms of its military. Not only that, UPI wrote that North Korean authorities actually encourage hemp cultivation since it can be used for fuel to power the state’s military drones (although, that has yet to be confirmed by any other outlet). It still hasn’t stopped various news outlets praising the nation’s “liberal policy of tolerance” and “dirt-cheap” weed, which was allegedly just $3 a pound (opposed to the almost $1500 per pound price tag in Colorado). The price difference is probably because it was hemp, which won’t get you high, no matter how many joints you smoke. And, like all things in North Korea, it’s best to err on the side of caution and not roll up.